Poseidon was one of the twelve Olympians in Greek mythology. He was the god of the sea and other waters (as well as horses, and earthquakes - strange), and he wielded his Trident with the rage of a middle-aged man being told what to do by somebody younger. Even so, when I think of the saying “there is plenty of fish in the sea,” I hope that Poseidon is one of those available fish. The man was hot, okay? Well, at least depictions of him are hot. Leave me alone. Power of Poseidon is a 5-reel, 243-payline video slot powered by software from Platipus Gaming. This one is sure to get your mental juices flowing, so prepare for all kinds of fantastic challenges ahead. Symbols include a mermaid, a goofy yellow fish, a tough-looking shark, a wimpy jellyfish, a red octopus, and playing cards from Jack to Ace. The Wild is represented by ol’ Poseidon himself, while an ancient Greek temple (or fraternity house, I can’t really tell) acts as the Scatter. The controls are very user-friendly, and work as follows. From left to right, you’ll find Menu (with sound, paytable, info, and history controls appearing when you click it), Balance, Total Bet, Bet Level, Auto Play, Turbo, and Spin. So, what features can you expect from Power of Poseidon? Wild: Wild can substitute for all symbols except Scatter, and only appear on reels 3,4 and 5 as a stacked symbol. Furthermore, Extra Wild appears only during the Poseidon’s Power feature (more on this later). Power of Poseidon offers two exciting features: The Free Spins feature and Poseidon’s Power. Free Spins: Landing 3 or more Scatters will trigger the Free Spins feature. 3 Scatters = 15 free spins & 5 total bets; 4 scatters = 20 free spins, and 50 total bets; and 5 scatters = 25 free spins and 250 total bets. During this round, you could also be awarded the Avalanche multiplier, which can increase winnings by x10, so keep your eyes peeled. Poseidon’s Power: During this feature, Extra Wild appears on reels 2, 3 and 4, and substitutes for all symbols except Scatter. I always really enjoy Platipus slots. I find that their graphics are often goofy, and you’ll notice the Power of Poseidon is no exception. 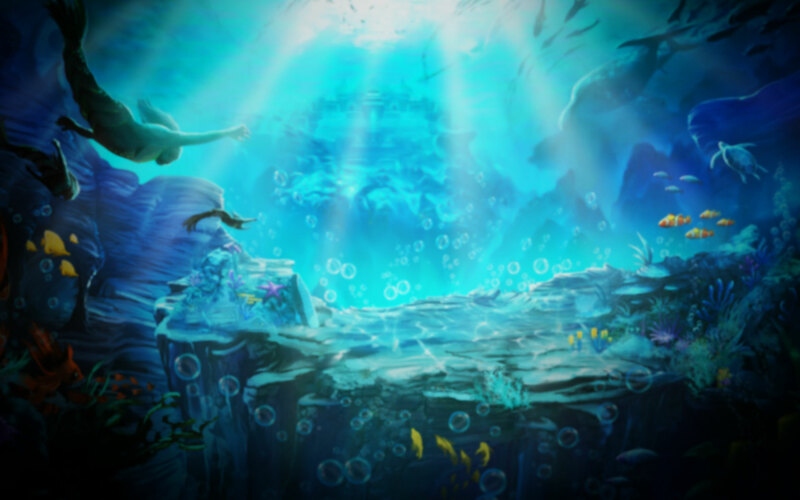 The soundtrack is wholly suited to the underwater vibe, and it’s available on any device. Overall, Power of Poseidon is a very exciting slot. The features are fantastic, the payouts are high, and it really does offer something for the most jaded gambler to the novice.